Metal roofing is a fantastic option for homeowners who prize both beauty and functionality for their properties. Long lasting and highly protective, metal roofs provide a number of unique benefits when compared to other conventional materials. At Magnum Contracting Group, our roofers specialize in installing and repairing metal roofing in Long Island. In every service that we provide, our professionals work their hardest to add substantial long-term value to the properties of our customers. Nowhere is this more true than when we are tasked with installing a new metal roof for a local family. When you hire us for your metal roofing project, you can rest assured knowing that you made the best choice for your home. 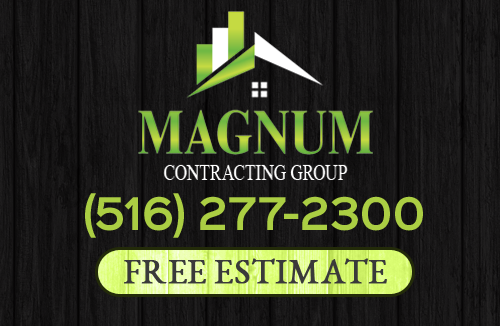 Call Magnum Contracting Group today if you need to hire a professionally licensed Long Island roofing contractor who specializes in metal roof installations and repairs. Our courteous and polite staff would be happy to take your call and to answer any questions that you may have. We can schedule your appointment today. Although traditional asphalt shingles are still a great option for your home, their is one instance in which they fall short. At some point in time, every roofing system needs to be replaced. Shingle roofs do not last as long as other roofing materials. If you want to put off a costly roof replacement for as long as possible, you should give serious consideration ot installing a metal roofing system. These amazing roofing materials can last 2 to 4 times longer than a traditional shingle roof. As such, metal roofing adds substantial long-term value to your home. One reason people are hesitant to install metal roofing in Long Island is that they are under the misapprehension that this roofing material lacks in aesthetics. This mindset could not be more wrong. As metal roof has become more and more popular, manufacturers have developed a wide variety of designs, finishes, and colors that can look great on any property. 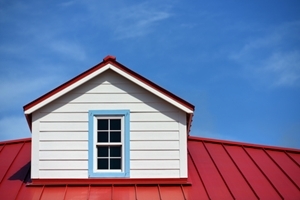 Some metal roofs are manufactured to effectively mimic the beauty of other roofing types. Options include metal roofing that looks like wood, stone, tile, and shingles. With the help of our Long Island contractors, you will be able to find the best looking metal roof that will truly transform the look and feel of your property's exterior. If you would like an estimate for metal roofing in Long Island, please call 516-277-2300 or complete our online request form.